I love to see my girls have a passion for something, I think as parents there is nothing we want more than to see our children happy doing something they love. We try our best to nurture it and encourage them. I’m not a Mum that pushes my girls to do this or do that, I take their lead on what they love to do. One passion that Alice has developed over the last 18 months is gymnastics. There is nothing she loves more than to be doing cartwheels, bridges, back flips etc. She does it in the lounge, in the garden, on any piece of grass that we happen to be near when we’re out. Of course she has asked to go to gymnastics class, which I’m more than happy for her to go to. But of course it’s not always that easy, there are waiting lists and we’ve been on one forever! 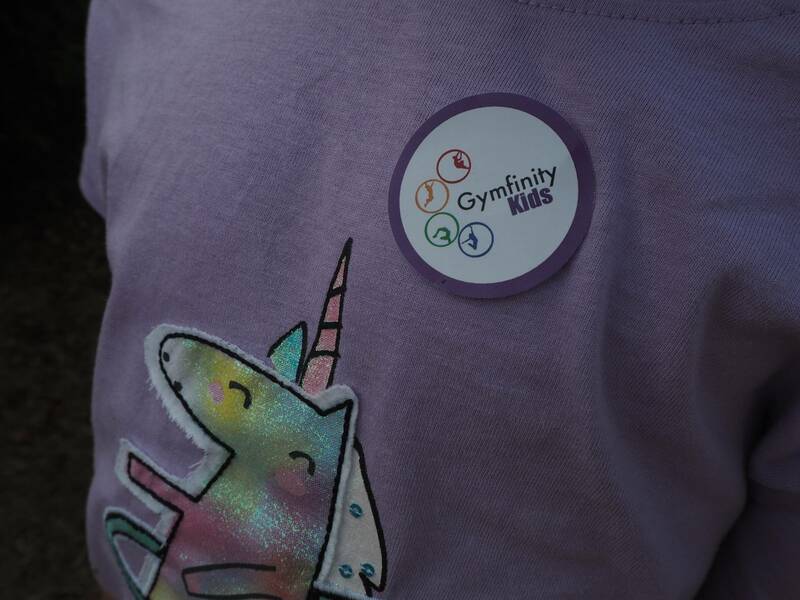 Recently Gymfinity Kids got in touch and invited Alice and Holly along to have a trial at their classes. Well you can just imagine their excitement, especially Alice who understood what it meant a bit more. Holly loves to copy Alice, well when I say copy, she thinks she is doing a handstand. But really she is doing a roly poly and it’s just the cutest thing ever to watch. 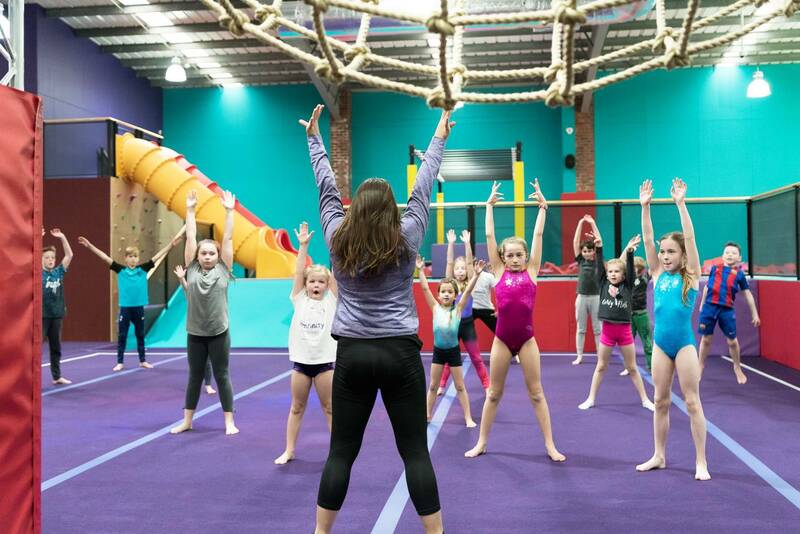 With the school holidays in full flow, I took the girls one late afternoon to Gymfinity Kids in Reading for a trial. We were greeted by a lovely coach, who talked the girls through what would happen and explained that they would be in different classes. I’d like to point out that the coaches had no idea I was there to write about our experience, so we didn’t receive special treatment or anything. When the start time came all the children stood in a line and they were directed to the different class depending on their age. To begin with I didn’t think Holly was going to leave Alice, I sat nervously watching. But the coach from her class could see she was nervous about leaving Alice’s side and came over and talked to her. Holly then happily went off and didn’t look for Alice again. Holly’s session started at the back of the gym area and I couldn’t really see the warming up session, but Alice’s was right in front of me. It was great that they had a seating area for parents to watch their children. The whole time they were doing the warming up session, Alice had a beaming smile. With the warm up done, a coach took Alice off and she did all the different elements of gymnastics with the coach one on one. This was great for a trial, as it gave Alice the chance to have ago at everything that is part of gymnastics. Whilst it also gave the coach a chance to assess Alice’s ability. Holly was in a small group of 4 children and they were doing running, skipping and Holly was so cheeky and at every opportunity she would stop along the way to do a roly poly. Luckily the coach loved it too and laughed at her. Alice got to have a go on the bars, which she was loved. They then got her to move up to the bigger bar and you could see she was a bit nervous, but with the help and encouragement from the coach she did it. The beaming smile got even bigger and I felt a little emotional watching her, knowing how much she was loving it. The cutest part of Holly’s session was when they were practising handstands. The coach later explained to me that at her age they can’t hold their full weight. Which is why they put there legs up against the wall, and kind of walk the legs up until she is upside down. I was amazed watching her do this all on her own and she now does it all the time at home. After about 30 minutes of the session, a coach who had been watching both Holly and Alice came and sat with me. She asked me what gymnastics Alice had done before and she was amazed when I said she hadn’t done any classes it was all self taught. She was convinced Alice had done classes before, as her ability and technique was really good. She said that Alice would be ready to go straight into an Intermediate level class, as she has all the skills and technique already. Holly would go into a preschool session, even though she is starting school in September it would be better for her to start in this session. She also explained that the classes run all year, they don’t stop during the school holidays. If you know you’re going to be away for your session, then you are offered another session to make up for it. Therefore you’re not missing out and paying for a session you wouldn’t use. There is an annual insurance fee of £30 for the first child and £5 for the second child. Alice’s class would be £43.29 a month and Holly’s would be £30.29 a month, which works out very reasonable per session. There is no contract and you can stop paying at anytime. What impressed me about Gymfinity Kids was the amount of coaches there were. Every child had a chance to do different elements due to coaches being available. It all looked clean and a nice environment. I loved being able to sit and watch them, they would occasionally look over to see me watching them and there is nothing better than seeing your parent watching you. 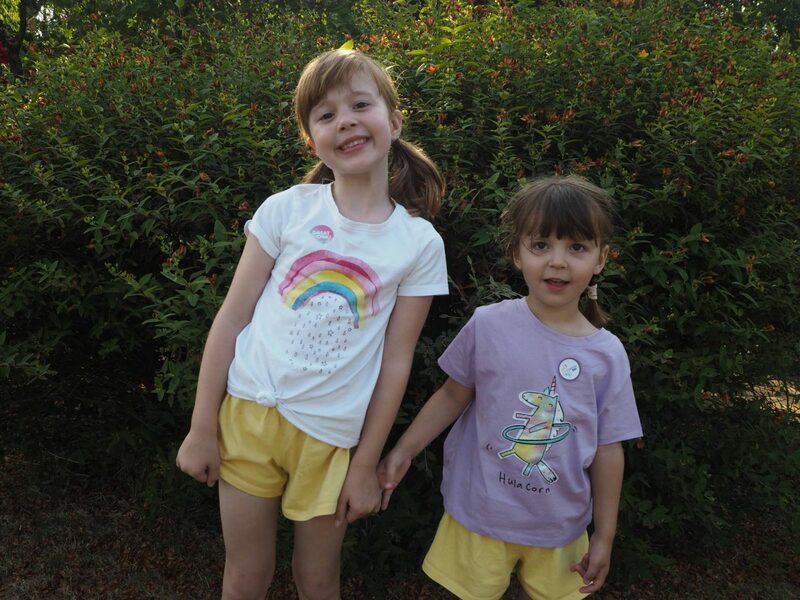 The session lasted 45 minutes and at the end both girls got a sticker, which of course they loved. Whilst I was sat watching the girls, there was a poster on my table that talked about the summer camp sessions that they offered and you can also hold your birthday party there too. 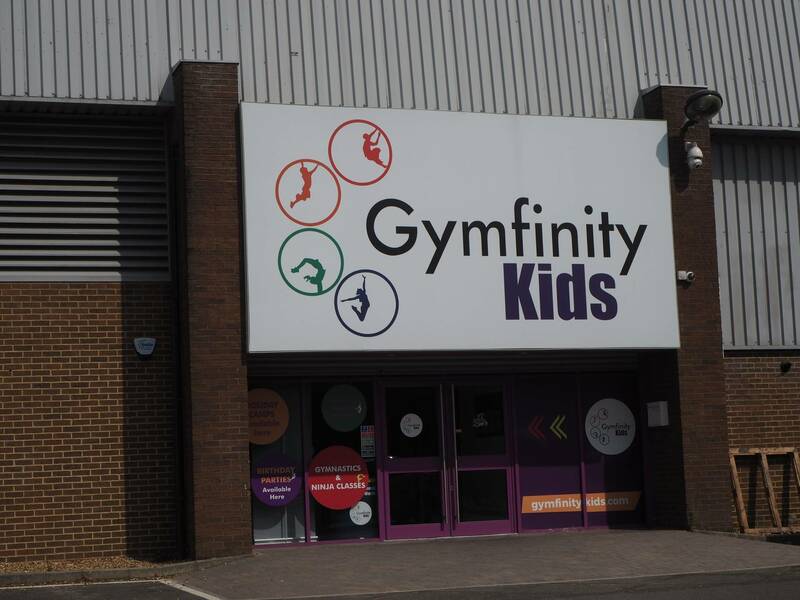 Gymfinity Kids has 4 locations around the UK and you can find them all here. The girls had a brilliant time, they haven’t stopped talking about it and I’m now looking at what availability and times they have for Alice to see if she can go regularly. Disclosure: We were kindly invited along to the Gymfinity Kids session and I was compensated for my time. This looks brilliant Laura – it looks like both the girls did amazingly! Oh wow that sounds brilliant. And Alice sounds like a clever little girl. How cool the coach thought she was already doing lessons! I wish there were some near me, this is exactly what my middle son would LOVE. Your girls did brilliantly! My niece is very into gymnastics. She would love this place. This looks super fun to me! I’m sure the girls were so thrilled!